Take advantage of the most advanced hotel survey platform ever created. 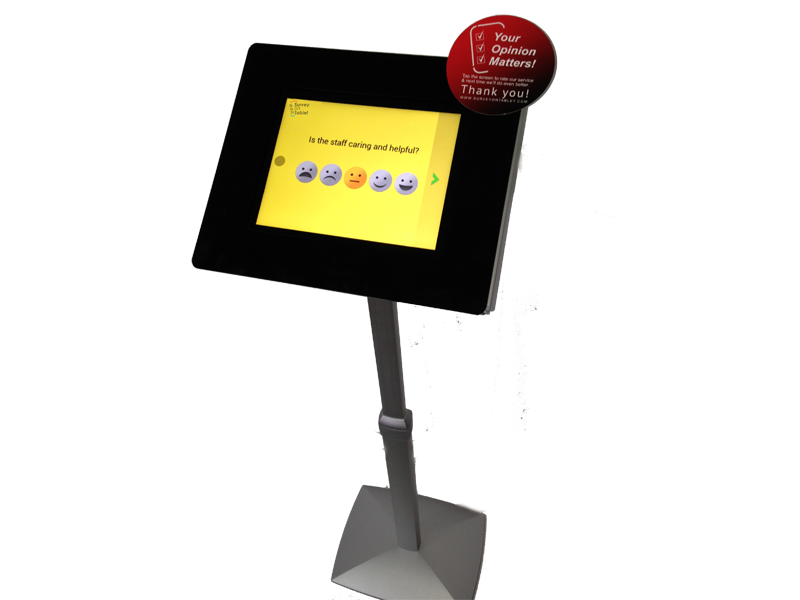 Engage guests and capture feedback at the point of experience over the WiFi, on touch terminals and QR-codes; or post-stay by e-mail, web and social media integrations. Get deep insight into guest sentiment for each of your properties. 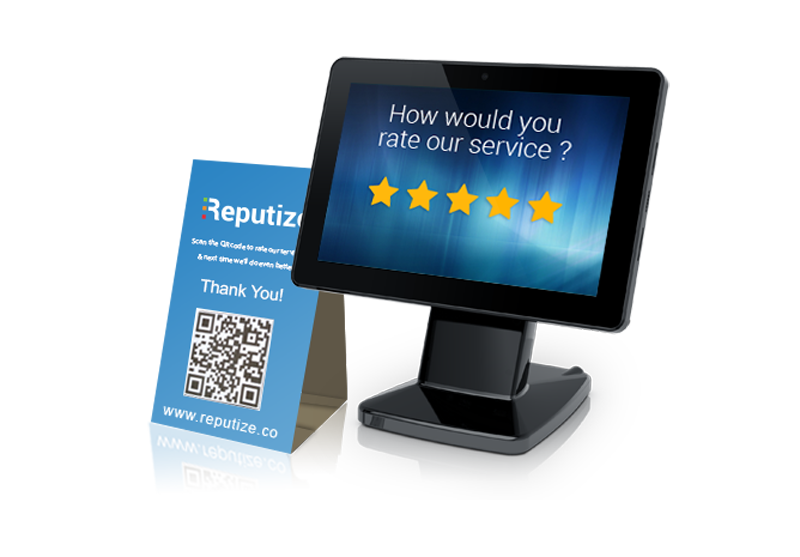 Make use of the Reputize Index™ and NPS to benchmark your business. 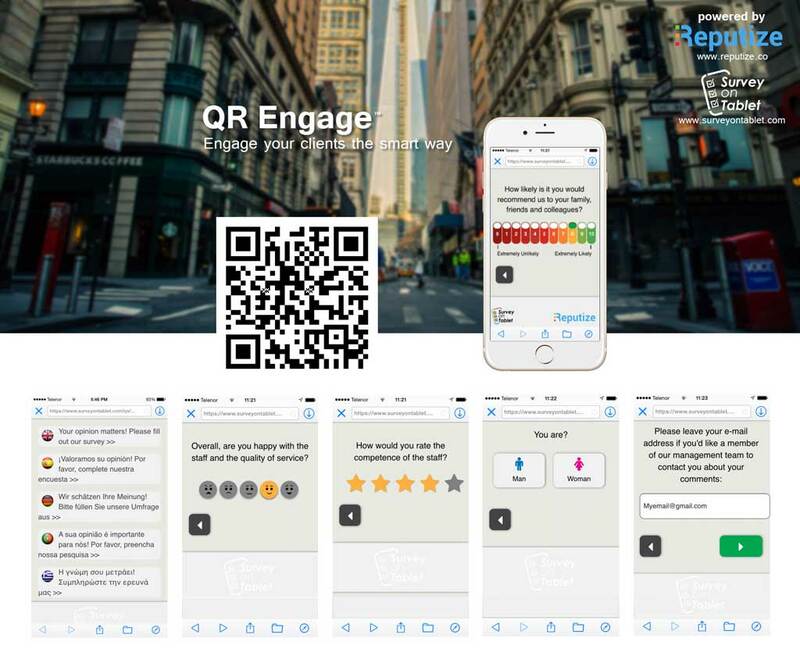 Advanced semantic analysis seamlessly aggregates your in-house survey data with your online reviews to provide a 360' view on guest experience. et alerted in real-time and act instantly when a client is at risk. Push reviews to sites like Tripadvisor and social media and boost online rankings. 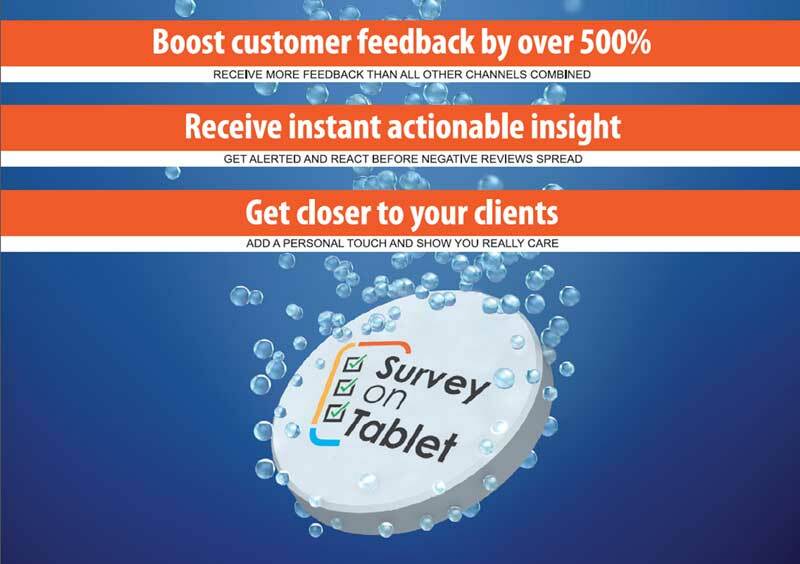 Reputize survey suite will outperform any other feedback channel. On average, our clients see a 500% spike in the amount of guest feedback. 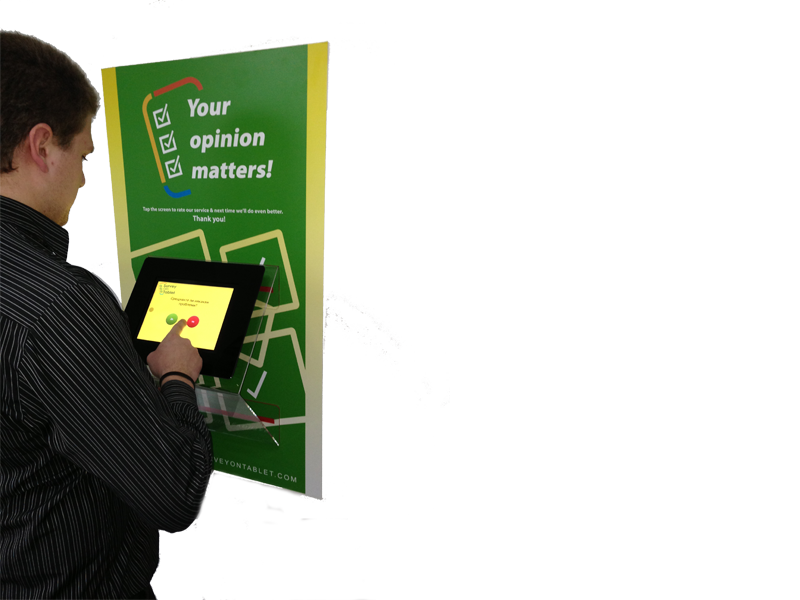 Our survey kiosks come pre-installed with a native app and work seamlessly even with no Internet. All it needs is to place them around your property. Engage guests with post-stay e-mails, on your webpage or right on Facebook. Push reviews to Tripadvisor and improve rankings. 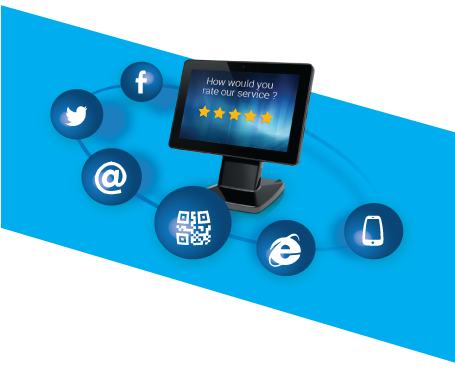 The Reputize methodology is based on an academically proven way to measure guest sentiment across all channels. Identify your strengths, weaknesses and opportunities for improvement. The right member of the staff can be instantly alerted every time a client is at risk. 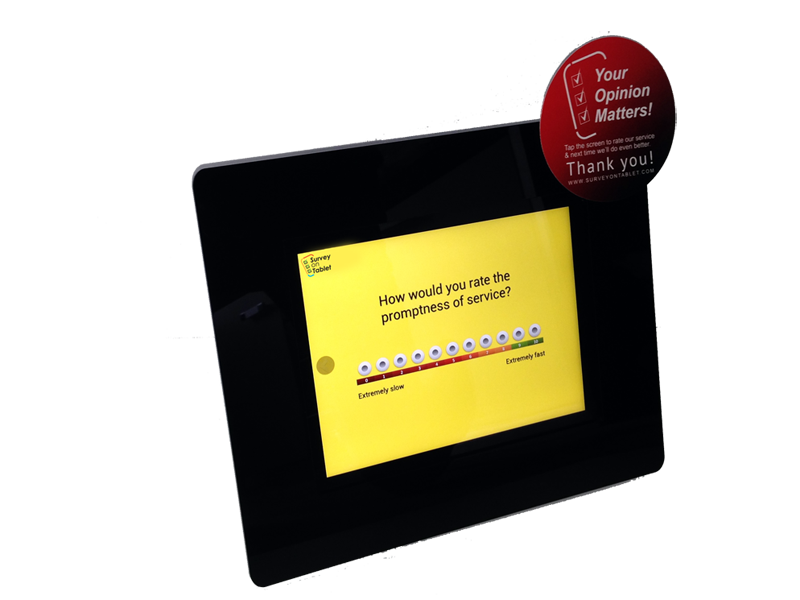 Allow guests to express their opinion in their native language by using our large template library translated in 27 langauges. Stored securely in the cloud, your data is always available for integration via a RESTful API or exportable in MS Excel, CSV and SPSS.